Unfortunately, my family and I are coping with some very difficult personal circumstances at present. These circumstances are going to continue for some time. I don't know how long. With much regret, I am placing PaleoJudaica on indefinite hiatus. Have a blessed Passover and a blessed Easter. I will be back with you as soon as I can. HAPPY PASSOVER (PESACH) TO ALL THOSE CELEBRATING! The festival begins this evening at sundown. Last year's Passover post is here and it has many Passover links. Relevant biblical texts are collected here. One other Passover-related post for 2019 is here. Passover-related posts for 2018 are here, here, here, here, here, here, here, here, here, here, here, here, here, and here. THE COPTIC MAGIC BLOG: Anthropology of Magic III: Superstitions in Antiquity and Today – Nothing Has Changed (Markéta Preininger Svobodová). The firs post in this series was noted here. I seem to have missed the second, by the same author: Anthropology of Magic II: Frazer and the Golden Bough. THE HARVARD DIVINITY SCHOOL: Reflections from Krister Stendahl’s Academic Neighbor. In November 2018, the Annual Meeting of the Society of Biblical Literature sponsored a session “Krister among the Jews and Gentiles,” to commemorate the tenth anniversary of the death of Krister Stendahl, who taught at HDS from 1954-1989, with a hiatus to serve as Bishop of Stockholm; he served as Dean of HDS from 1968-1979. 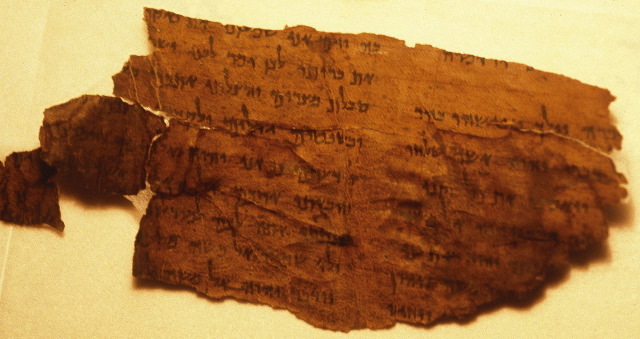 The following is a revision of comments presented by Marc Zvi Brettler, the Bernice and Morton Lerner Professor of Jewish Studies in the Department of Religious Studies at Duke University, and the Dora Golding Professor of Biblical Studies Emeritus and former chair of the Department of Near Eastern and Judaic Studies at Brandeis University. NUMISMATICS: 1,600-year-old gold coin of emperor who abolished Sanhedrin discovered by pupils. Byzantine ruler created the 438 Theodosian law code, which collected the thousands of imperial laws of the sprawling empire and officially made Jews second-class citizens (Amanda Borschel-Dan, Times of Israel). According to the IAA, this is the first such coin discovered in Israel. It chances that PaleoJudaica has a recent post on the Theodosian Code and Judaism here. RELICS: 'Holy Stairs' Opened for 1st Time in Nearly 300 Years. But Did Jesus Really Climb Them? (Owen Jarus, Live Science). It seems not. Massive marble constructions were not characteristic of Jerusalem in the time of Jesus. And the actual stairs of Pilate's praetorium would have been destroyed with the rest of Jerusalem in 70 C.E., long before Queen Helena's time. The stairs are an impressive piece of architecture, whatever their true origin. Did Queen Helena bring them from Palestine in the fourth century? Is that a legend too? What are they and when and where were they made? Does anyone know? Google is uninformative. THE NOTRE DAME CATHEDRAL is of some importance for medieval Jewish history in France and Europe. Here are a couple of articles on the topic. Notre Dame’s Surprising Jewish Treasures. The destroyed cathedral still retains priceless art depicting Jewish heritage in France (Dr. Yvette Alt Miller, Aish.com). A lot of that history was terrible. But if it weren't for the cathedral's decorative art, we would know considerably less about it. This article offers some more obscure details about the cathedral: Notre Dame Has Been Everything From a Honeybee Home to a Pagan Temple (Stephanie Eckardt, W via Yahoo News). I can't vouch for the specifics on this one, but read it and make your own judgment. Yesterday's post on the fire is here. The latest I can find on the current state of the cathedral is here. So far, my summary in the previous post seems to be holding up. PRINCETON UNIVERSITY: Pagels traverses grief, healing and the nature of belief in ‘Why Religion?’ (Jamie Saxton). Background on Why Religion is here. The workshop is supported by the Alexander von Humboldt Foundation. TEMPLE MOUNT WATCH: FIRE BREAKS OUT NEAR MOSQUE ON TEMPLE MOUNT. The Marwani Prayer Hall, also known as Solomon's Stables, is located at the base of the corner of the Temple Mount where the Southern and Eastern walls meet, near the stairs up to the Al Aqsa Mosque (TZVI JOFFRE , Jerusalem Post). While the cathedral of Notre-Dame was burning yesterday evening, a fire also broke out on the Temple Mount. Fortunately, the latter was quickly extinguished, with no injuries and, apparently, with minimal damage. The cathedral, as you doubtless already know, was not so fortunate. But, if current information is correct, its art treasures were rescued and the structure is essentially intact and can (and will) be rebuilt. The status of the stained glass windows is unclear. At least one seems to have survived. All kudos to the brave firefighters, who actually entered the building to save it. Without them, the cathedral would now be gone. I am sorry to hear that one firefighter was injured, but am relieved that the injury was not serious. There are no reports of civilian injuries. My deepest condolences to the people of France on this tragedy. The cathedral is a world treasure. The world is with you. EXHIBITION: NEW ARCHAEOLOGICAL VISITOR CENTER OPENS IN YOKNEAM. The ancient settlement of Yokeneam [sic] is mentioned in the Bible as a city of the Levites, located near Megiddo (Cassandra Gomes-Hochberg, Jerusalem Post). Archaeological findings in the area dates back from the Early Bronze Age, in addition to ceramic evidences and other artifacts from the Iron Age, Persian, Hellenistic, Roman, Byzantine, Crusader, up to the Ottoman period. Several springs surround the settlement, which have provided water to its residents, enabling the site to be continuously inhabited for almost 4,000 years. CANDIDA MOSS: Why Did Judas Really Betray Jesus? (The Daily Beast). ... The intertwining of antisemitism, the passion narrative, and violence is one of the reasons that it is important we get the historical pieces of the passion narrative correct. TECHNOLOGY WATCH: Case cracked: 2,600-year-old chicken eggshells from Jerusalem put back together. High-tech reconstruction of unique eggshell trove — 1st evidence of chicken eggs on holy land diet — could affect the quantities of matzah some Jews eat on 1st night of Passover (Amanda Borschel-Dan, Times of Israel). I think everyone else has already exhausted all the egg, chicken, etc. jokes. Fairly often the Mishnah uses an "egg's bulk" as a measure relevant to some halakhah. For what it's worth, the reconstructed eggshell gives us an ancient egg about the same size as a large egg in today's supermarkets. Now you know. To summarize [Professor Israel] Finkelstein’s theory, the birth of the Kingdom of Israel may have happened like this: Sheshonq came to Canaan, saw the uppity inhabitants of the highlands as a threat, so he conquered them and installed a vassal ruler over them. That vassal was Jeroboam I. Professor Finkelstein has been doing a lot of synthetic work to try to reconstruct the history of Iron Age II Israel. For recent posts on his work, see here and follow the links. BRYN MAYR CLASSICAL REVIEW: Jesús Peláez del Rosal, Juan Mateos, David S. du Toit (ed. ), New Testament Lexicography: Introduction - Theory - Method. Translated, Annotated, and Supplemented by Andrew Bowden. Fontes et Subsidia ad Bibliam pertinentes, Band 6. Berlin; Boston: De Gruyter, 2018. Pp. xli, 331. ISBN 9783110408133. €129,95. Reviewed by Peter Montoro, University of Birmingham (pjm838@student.bham.ac.uk). DR.KRISTINE HENRIKSEN GARROWAY: Gendering a Child with Ritual (TheTorah.com). A child’s mother remains impure for forty days after the birth of a boy and eighty days after a girl. A comparison of this procedure with similar ones in Hittite birth rituals suggests that this gender-based differentiation may serve as a kind of ritual announcement of the child’s gender. THE HOLY LAND PHOTOS' BLOG: The Tomb of the High Priest Annas? Part 2 of 2 — The Interior. Carl Rasmussen continues his Easter season series. Earlier posts, including part one on this tomb, are noted here and links.